Pictured below F/Lt Norman Rose and crew. 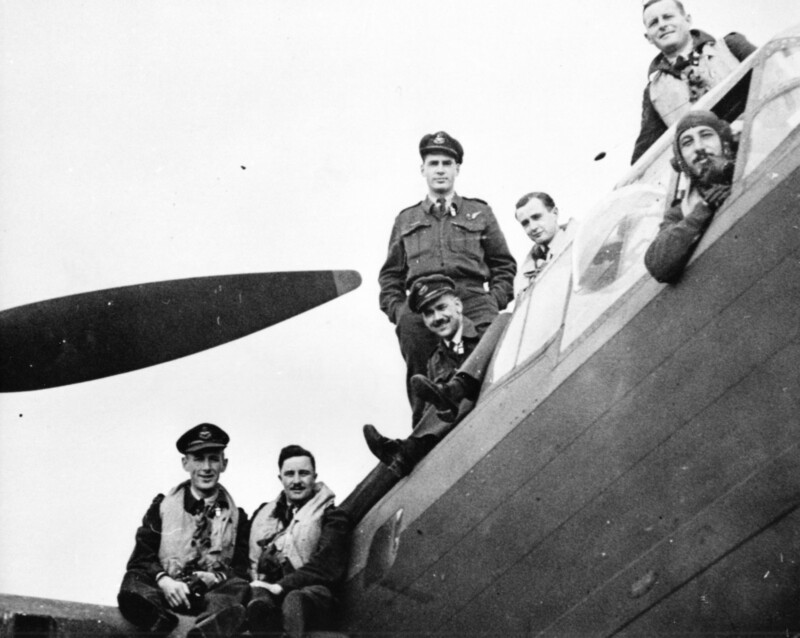 The crew completed their tour on 2 November 1944. 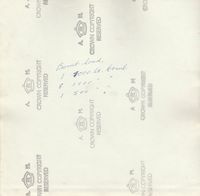 Pages from the log book of Edgar Caswell. Kindly made available by Bill Caswell. In addition to the log book pages are a number of anecdotes and memories, in no particular order, associated with the ops recorded in the log book. Again thanks to Bill Caswell. "By ironic coincidence, Rose was trained at BCATP depot Swift Current, Saskatchewan – within 20 miles of where my father was raised. Of course they did not meet then. But as was BCATP practice, top graduates of each pilot training school class were kept back to instruct new recruits. Rose was one of these. 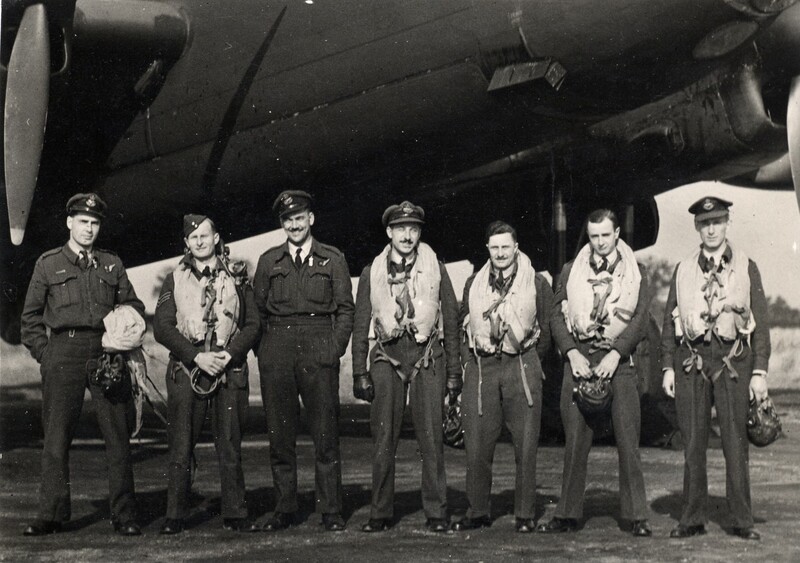 Thus, by the time he returned to England to begin his tour with Bomber Command, he had a lot more hours of experience than many of his peers. 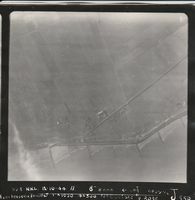 My dad ventured that this may be one reason why Rose was so outstanding as a bomber pilot." 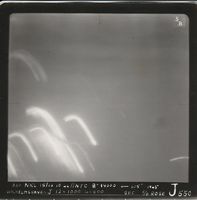 "In this regard, [dad] mentioned that he was rather surprised that the added notation he made regarding the August 10, 1944 mission to Le Bourget oil depot in France was allowed to stand – "39 flak holes". 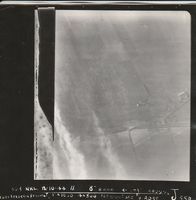 This was a particularly harrowing trip, in that their Lanc sustained 39 flak holes as well as severe engine damage." "Another anecdote [dad] related to me regarded his first (or second?) 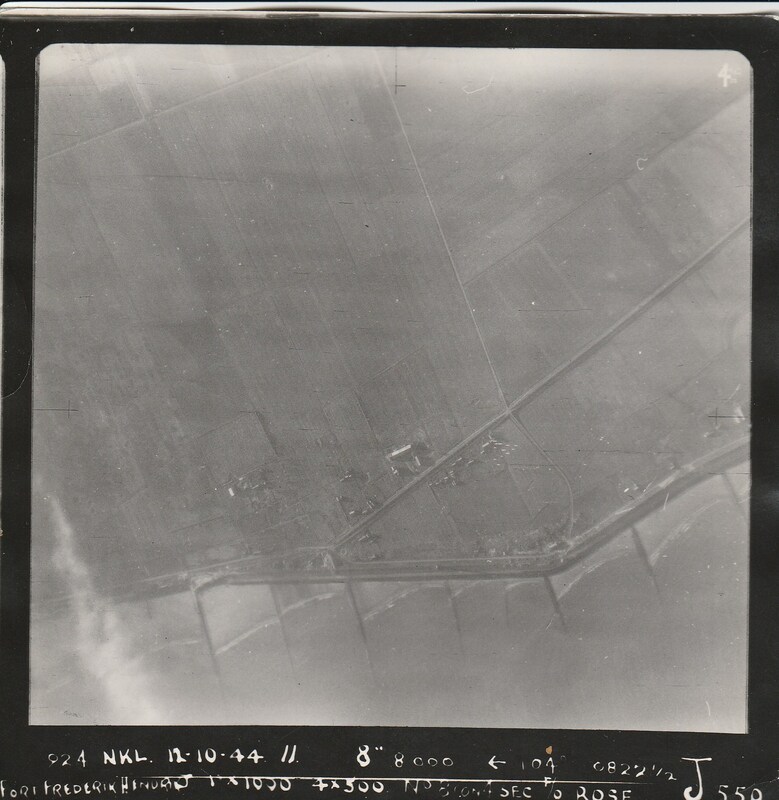 mission to bomb an oil refinery near Bordeaux, France – I assume involving Lancs from 550. He said that on the outbound leg, two New Zealand crewed planes touched wing tips and crashed into the sea. What a shock, and a great loss of life and assets." 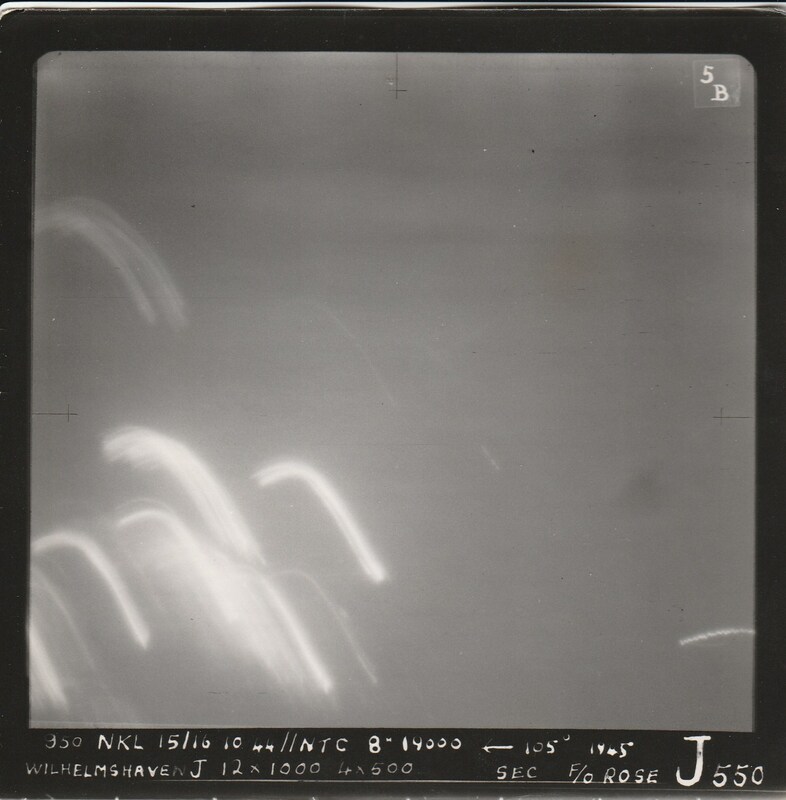 "An interesting sidelight of my dad’s operational tour is that (he told me), to his knowledge, none of the guns in their plane were fired during any mission. Norm Rose’s strategy was apparently one of defense rather than offence. He adeptly utilized the eyes of his gunners and close intercom communication to time his side-slips and dives so that attacking fighters could not get lined up to shoot. Guess it worked!" "And there was the August 12/44 one, which involved the following, rather amusing anecdote. Perhaps this mission is also one that was not officially counted. As my dad told this story many times, flying the night of August 12/44 had been stood down. So after the crews disbursed, some to local pubs, a sudden change of plans arose. Presumably the weather had cleared(?). 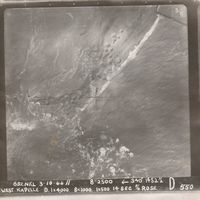 Anyway, all those who could be located were scrambled to form up as many voluntary crews as could be assembled on such short notice. Thus my dad ended up with pilot Cameron. As Dad's story went, the outbound trip and bombing run went well and without much difficulty. However on the return trip, Cameron, who had been plenty tipsy when leaving base, began to sober up. He became very drowsy, and every so often as the plane slowly lost altitude, the crew had to wake him and instruct him to pull it up. What a way to party!!" 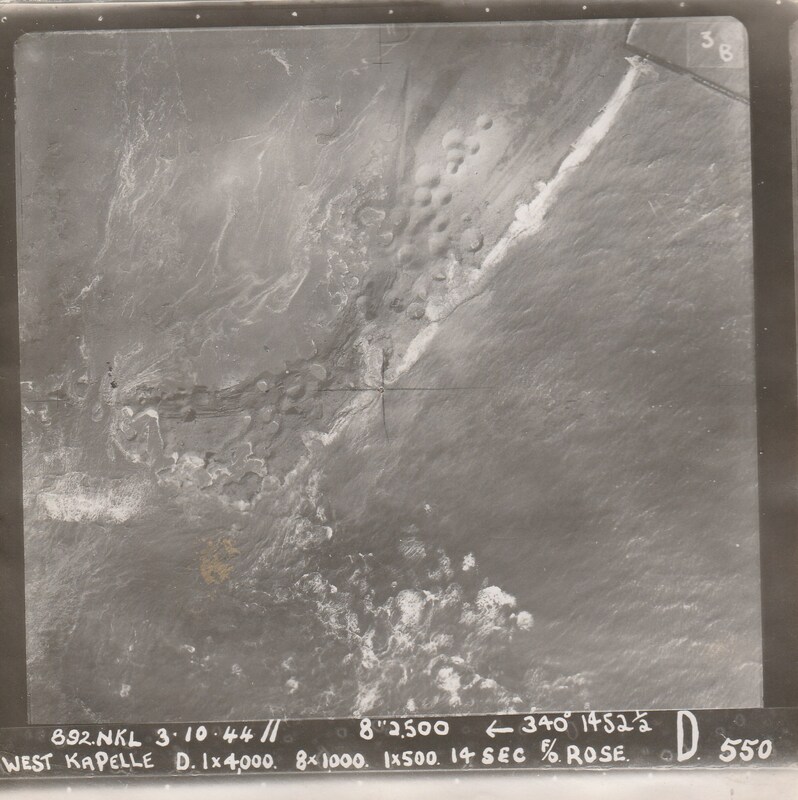 Photos taken during a number of ops by the F/Lt Rose crew.